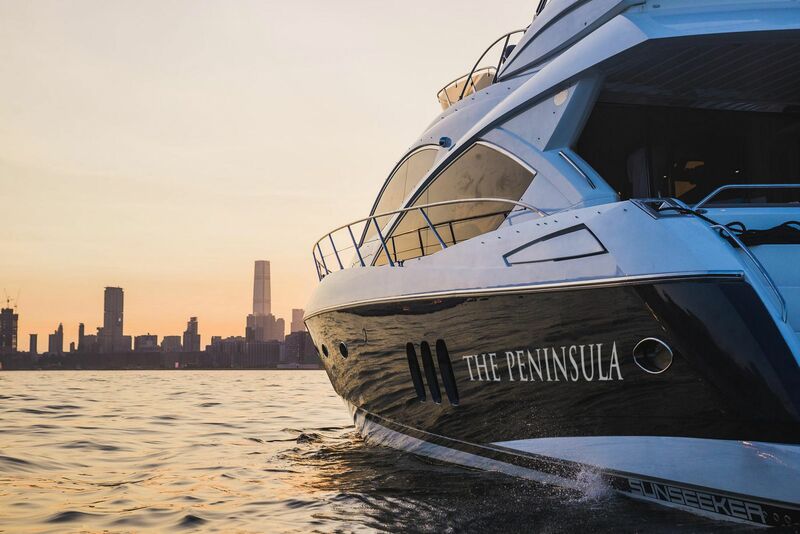 In addition to Rolls-Royce Phantoms and its customised helicopter, The Peninsula Hong Kong has introduced The Peninsula Yacht, making it the first five-star hotel in Hong Kong to offer three deluxe transport services. Every evening from 6:30pm to 8:30pm, the superyacht takes up to 15 passengers on a two-hour ‘Harbour Sunset Cruise’ tour featuring the ‘Symphony of Lights’ show on Victoria Harbour, which includes unlimited champagne, wine and other beverages. Set to be a coveted venue for private events, the yacht can be customised with your choice of signature Peninsula experiences and chartered for HK$15,000 nett per hour with a minimum engagement of four hours. Hailed as one of the most long-awaited openings, Marriott’s latest flagship hotel in Ocean Park offers travellers a unique destination experience of the south side of Hong Kong Island. With stunning views of Deep Water Bay and the theme park as the backdrop, the urban retreat comprises 471 guest room exquisitely designed with an environmental theme that blends in with the surrounding nature. Highlight features include a 1,410-square metre lagoon pool, four dining outlets that serve up WWF-certified sustainable seafood, an impressive 16-metre floor-to-ceiling aquarium and a pillar-free ballroom at 1,200 square metres—the largest of its kind on the island. This November, travel experts Mr & Mrs Smith celebrates its 15th anniversary with the launch of a 296-page coffee table book, featuring 35 luxuriously seductive suites— from cosy country hideaways, canopy covered safari lodges to cliff-clung island perches—shot by in-demand art photographer, Polly Brown. A curated collection of the most honey-moon worthy stays in the world, this alluring guide is as stylish as it is informative, providing insider tips and quotes from acclaimed hotel connoisseurs to make your romantic holiday planning that little bit easier. As part of the renovation of its private 64-acre Rasa Ria Reserve to protect the natural landscape of Sabah, Shangri-La’s luxury beachfront resort has launched new immersive experiences that engage guests with conservation and education programmes. The most unmissable experience of all is the reserve’s five-mile trail through the tropical jungle, which invites guests to observe the natural habitat of indigenous Borneo wildlife. Reward yourself with a continental breakfast at the Ria Lookout summit platform with views of Sabah’s iconic Mount Kinabalu to soak in the natural surroundings. After a two-year renovation period, Baros Maldives, one of the pioneers of luxury hospitality in the Maldives, is reopening this month. The new look and feel of the resort will manifest in its newly renovated villas, bar, restaurants and enhanced destination experiences. Highlights of the updated accommodations include new custom-made furniture in existing villas and a new villa type— the Baros Suites. For its F&B outlets, the Sails Bar is refreshed with modern design and colour scheme, while the Cayenne Grill restaurant features newly installed open-sided pavilions overlooking the Baros lagoon. Ready to open its door this November, Alila’s first property in Cambodia resides on its own private island, Koh Russey in the Koh Rong archipelago, just 20 minutes from Sihanoukville Airport by private car and speedboat transfer. Set in prime location on the Cambodian Riviera, the 50-pavilion, 13-villa boutique resort designed by Singaporean architect Chioh-Hui Goh has a strong Khmer influence and takes into account the preservation of the island’s natural foliage, which results in low-density structures that take up only 15% of the 60-acres of lush grounds—a remarkable effort that is endorsed by EarthCheck. Grenada, the Caribbean’s unspoilt hideaway will be put in the spotlight as Silversands Granada opens in December. Home to 43 studio suites and nine residential villas, the artfully-designed resort is designed with the modern traveller in mind, setting the benchmark for a stylish, luxury experience in the Caribbean. Interested in claiming a slice of paradise? Choose from the five Beachfront Villas and four Hillside Villas, each boasting awe-inspiring views of the Grand Anse Beach and the sea. Each purchase is inclusive of Grenadian citizenship through the island’s Citizenship by Investment programme. In collaboration with Conservation International Indonesia (CI Indonesia), Rascal Voyages further strengthens its commitment to marine preservation through ‘The Exploration Series’, an exclusive programme of scientific expeditions to give luxury travellers an opportunity to witness unprecedented breakthroughs in the understanding of marine biodiversity. The unique itineraries will feature a selection of once-in-a-lifetime experiences, from pop-up island dinners to onboard cocktail parties and unrivalled snorkelling and diving opportunities, while sailing untouched areas through Southeast Asia, the Indian Ocean and beyond. Travel Here's Why Pangulasian Island Was Voted One Of 2018's "Best Resorts In The World"